Books • Young-adult series delves into a girl's supernatural powers as it explores themes of self-discovery. The supernatural secrets of the deceptively sleepy town of Gatlin, S.C., come to life again under the deft craftsmanship of writers Kami Garcia and Margaret Stohl. 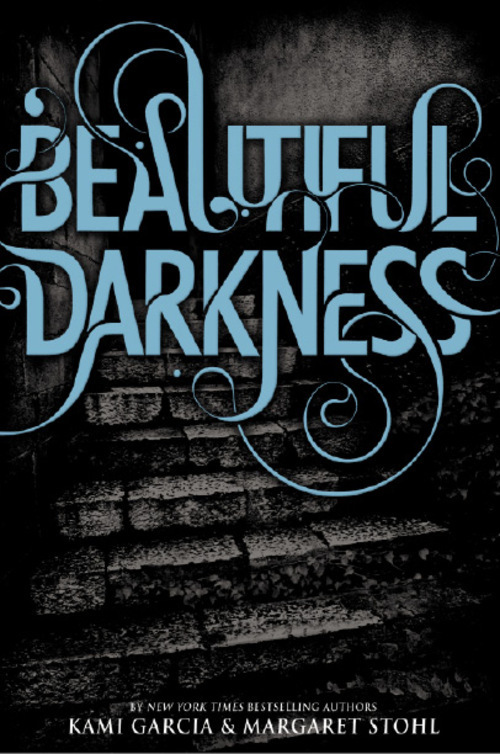 Beautiful Darkness, the second installment of the duo's Caster Chronicles, released this week, delves into the hidden world of a fictional Southern burg. It's the story of Lena Duchannes, a magical Caster with a family curse, and Ethan Wate, the young boy who dreams about her before he even meets her. The series' first book, 2009's Beautiful Creatures, was published on the heels of the international best-selling Twilight series by Stephenie Meyer. But the Caster Chronicles are set apart by the strength of the female protagonist. The books are narrated by Ethan, while it's Lena who possesses magical powers. Lena's strength was inspired by Stohl's 15-year-old daughter, who is a fencer. She dared her mother to write a book that didn't feature a weak female character "whose only power is to fall in love with the beautiful, special boy," Stohl said. Ethan is "exploring ways of fitting in or not fitting in," said Stohl, whose mother is from Richfield, while her father is from Salt Lake City. "He is thinking with Lena, 'I'm part of this community that hates you, but I love you.' It's part of the family things we're all working on in our own families." The book's setting is based, in part, on the childhood summers that Stohl spent in Richfield. Its Gatlin County is similar to Sevier County. The two communities share a taste for funeral potato casseroles and, like small towns everywhere, a sense of insularity, she said. Figuring out your place in the world is one of the overarching themes of the series, but the authors avoid the simple morality tales of an after-school made-for-TV special. For example, Lena makes several choices that take her along a bad path, even though Ethan knows she is a good person. "We wanted to really, truly represent how complex and difficult it is to be a teen and to try to be yourself and make those kinds of choices," Garcia said. "Even if you know what you want to be, the journey to actualize that is not easy. It's not a straight line to get there." The authors run a fan website at http://www.castergirl.com, where a Caster is defined as "a girl with enough power to be herself." "We have had teen readers from the very beginning, and in talking with them, one of the common themes was of them feeling like they have no control over their own lives," Stohl said. "They are struggling with moral choices or their personality choices, and we wanted to take the power and magic in our universe and make it all literal." Those same lessons can apply to adult readers, as well, the authors say. "You always want to be yourself but want to fit in, and you're always trying to negotiate that, whether it's at your kids' school or at your job," Garcia said. "It's always a balancing act. It's part of being a teenager, but it takes a long time to figure out." P Authors Kami Garcia and Margaret Stohl will read from their Caster Chronicles supernatural series. When • Wednesday, Oct. 20, 7 p.m. When • Thursday, Oct. 21, 7 p.m.